RSP-1000 has an innovative low power loss circuit topology which yields efficiency up to 90% in a small package. 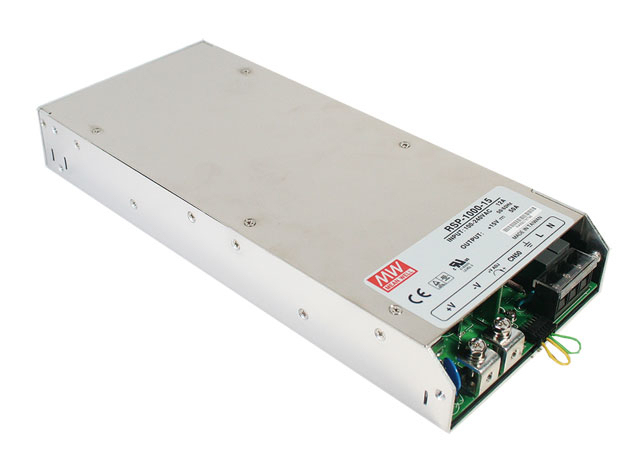 While having a very high power density 10.7W/in3 the RSP-1000 series can still provide full output power in ambient temperatures up to 50 °C (122 F). Output voltage is adjustable ±10% by simple rheostat on the terminal strip. 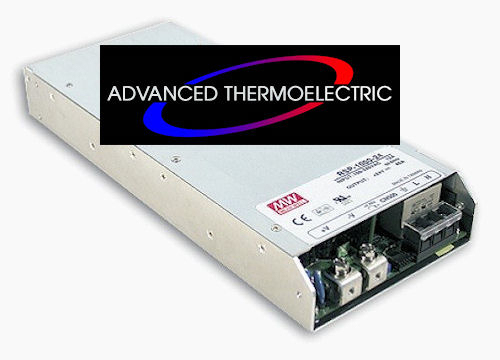 There is also a "wide range trimming function" that allows output voltage to be adjusted from 40% to 115% of the rated output Voltage by adding an external voltage source or resistors. Engineers love this because it provides a great deal of flexibility in system design and modification. RSP-1000 also employs an advanced digital control technique that uses a microprocessor for power management. This significantly increases the flexibility of PSU control and reduces part count. To allow for expansion, or to simply meet the need for more power, RSP-1000 can be connected with up to three of the same units to increase the output wattage up to 4,000 Watts by utilizing the built-in parallel function that allows current sharing. For overload protection the RSP-1000 series use “constant current limiting plus delay shutdown” which enables the unit to power capacitive/inductive loads and still provide full protection for customers’ systems. Other built-in functions include remote sense, remote ON/OFF control, 5V/0.5A auxiliary output, and DC OK alarm signal output (TTL signal). The series complies with UL, CUL, TUV, CB and CE regulations that ensure user safety. Applications include industrial control and automation systems, mechanical and electrical equipment, front-end power systems, industrial and military instrumentation, moving sign, telecom/datacom/signal, laser-carving machines, IC testing equipment, LCD panel burn-in systems and battery charging or any systems that require high power in a 1U low profile.